We are a young, professional, and energetic group with an extensive repertoire based out of Oakland, Ca that provides Mariachi Services Entertainment in the Bay Area. We specialize in Weddings, Quinceañeras, Anniversaries, and Birthdays just to name a few. 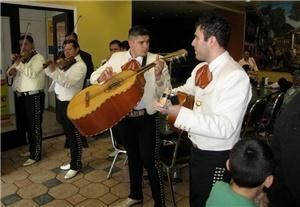 Contact Mariachi mi Tierra Linda to liven up your event!